It is never easy to decide the best insurance policy, be it for your house or your holiday. Instead of struggling through the various insurance options, consider our Travel Insurance Services, which guide you for getting the best Travel Insurance Plan as your tour. Our professionals at have vast experience and are capable of answering all your queries. We ensure that you are not bothered about unwarranted expenses that may come up during your tour. 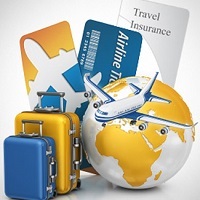 We are a leading Travel Insurance Services provider from Chandigarh.